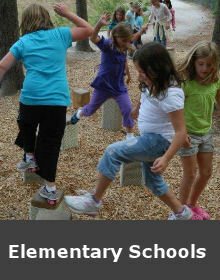 Naturally Rooted LLC offers design services, curriculum development and visioning facilitation. Providing experience, knowledge and creative expertise, the Naturally Rooted design team consists of a licensed landscape architect, credentialed teacher, and wildlife educator. 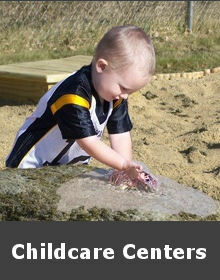 Our years of professional experience, diverse skills, and knowledge will help you organize and create original landscapes for learning, play and healing. 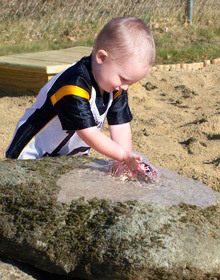 Through a collaborative visioning and design process, we connect children with their natural world through landscapes that support a wide range of developmentally appropriate, imaginative, stimulating, and educational experiences. The following services can be combined or contracted individually depending on your needs and budget. Creating a vision for transforming your outdoor spaces begins by identifying and involving all the project stakeholders. 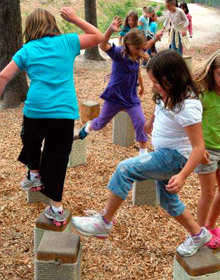 Through a collaborative process, our team is available to work intensively with staff, teachers, community members and/or students over a short period of time to draft a plan to redesign your schoolyard or site. Working in small and large groups, we will organize your space and generate a concept plan. 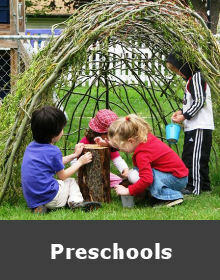 Resources to read and discuss, as well as ideas for children’s involvement, will be sent in advance of the workshop. The design team will visit the outdoor space to collect data, inventory and document existing features and analyze site conditions. This information will be used to create a base plan for future site improvements. With a “wish list” of your ideas, needs and desired features our landscape architect will provide you with a Conceptual Master Plan that captures your vision for transforming your site. Once the Conceptual Master Plan is finalized, we can provide detailed construction drawings, recommendations for site components and a planting plan with recommended plant species. Our plant selections emphasize the use of native plants, suitable for your site’s conditions that also meet your goals, whether for wildlife habitat, sensory garden, edibles, and more. We will also provide implementation strategies that include construction phasing, sustainable and cost effective materials, fundraising ideas and grants to aide in the successful completion of the design. 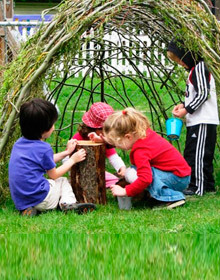 Our curriculum specialist will work with you through the implementation of your newly designed outdoor learning environment and integrating developmentally appropriate curriculum. For a complimentary “A Garden Recipe” click here.